Figure 16. Monti net tube devised by Madame Rina Monti of the University of Sassari in Sardinia. Top: the assembled unit. Middle: the internal net. 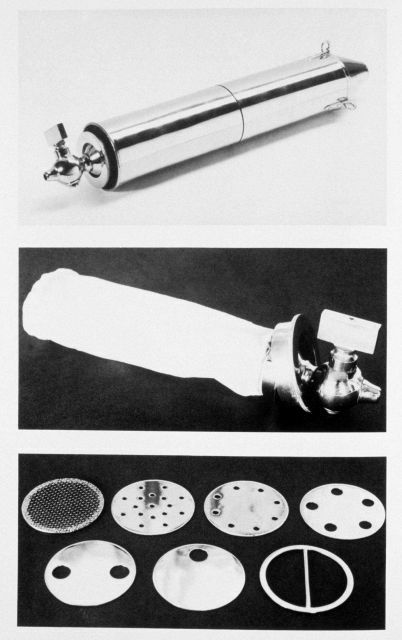 Bottom: series of diaphrams used in the unit. This net and tube system were meant to improve shortcomings found in various other surface plankton sampling systems and was first tested off the coast of Sardinia in 1911.